If you are that type of person that is obsessed with wearing heels and think flat shoes can’t be as glam? Well we are here to change your mind! If you style your outfit around your flats you can for sure still remain chic and stylish! We have listed some of our fave styles of flat shoes and tips on how to make your outfit on trend this season. Trainers - Many people automatically think of trainers as being worn for going to the gym or lounging in but this is certainly not the case! Trainers can be the perfect flat shoes to make an outfit have a relaxed vibe yet still remain effortlessly on point. Our ‘Shilo’ trainers are the perfect example which feature satin and suede panels, and ribbon laces for a girly vibe. 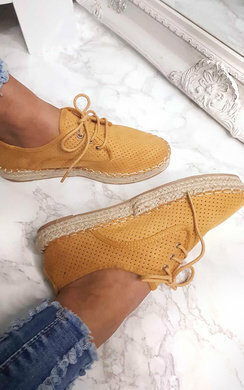 Espadrilles - This is an ideal style of flat shoes to wear with your skinny jeans in the transitional months leading up to summer, they are super comfy and can be worn whatever the occasion may be. 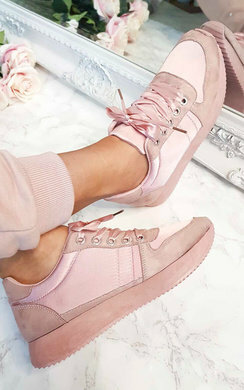 Our fave at the moment are our ‘Jasmin’ that come in 4 different colours and are soft and subtle with suede material and a lace up finish, so beaut. Pumps - The classic slip on pumps - these should be a staple piece in your wardrobe. Here at IKRUSH, we love these styles of flat shoes as they are perfect for almost everything! Easily worn, easily styled and easily on trend. ‘Misty’ is a good example of a pump with embellishment to make it fun and interesting! Sandals - The flat shoes of those summer months! 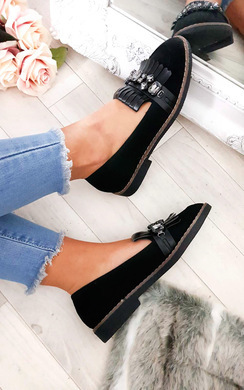 If you are like us, you live in sandals from May-September, which means your wardrobe needs to have a LOT of different styles so you are ready for any occasion, right? One of our top picks right now is our ‘Matilda’ style. A little bit of sparkle and super comfy with strappy detailing, these are a must that can be dressed up or down! Sliders - This is a mix of extreme comfort whilst remaining a lil bit edgy at the same time. 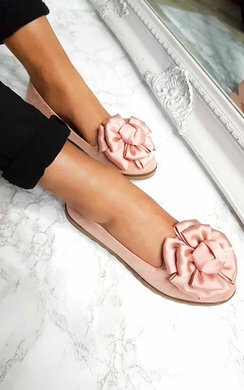 We are obsessed with flat shoes that can be super super comfy, and our sliders are definitely that! From fluff, to studs, to slogans, we have every kind of slider you could dream of! Pssst.. check out ‘Kalisa’ - these are fluffy goals. Be sure to tag us in your pics on social media using #ikrushbabe - show us how you style up your flat shoes this spring!